Neither dirt nor fairy dust. 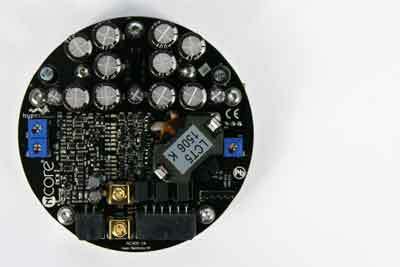 The NC400 DIY kit is the ultimate DIY-friendly incarnation of Hypex' ground breaking Ncore technology. 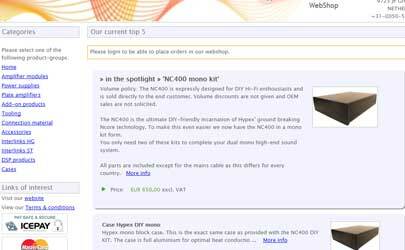 To make this even easier we now have the NC400 in a mono kit form. You only need two of these kits to complete your dual mono high-end sound system. 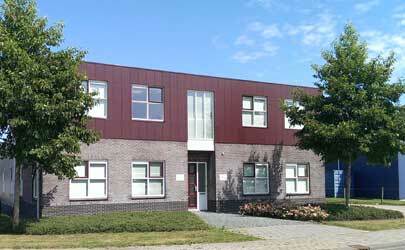 The best interlink in the industry. 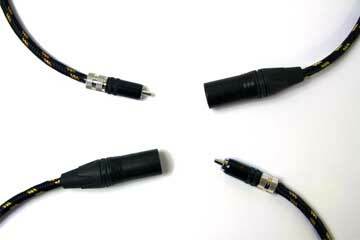 Custom made double shielded twisted-pair cable designed specifically for the lowest microfonic noise. The double shielded cables makes it the best protected interlink in the industry. The DLCP DSP platform is a complete hardware/firmware platform for digitally filtere and corrected active multi-way loudspeakers. It can be used as a digital pre amplifier when the optional input board with relays is bought or used as an active filter. Hypex presents a decisive leap forward in class D audio performance. Ncore® is the first class D amplifier not just to nudge the best linear amplifiers, but to surpass them in every aspect relevant to sound quality. Hypex interlinks are regarded to be among the best interlinks for their price. The Hypex interlink comes in different lengths and different materials. Letting the total neutrality of the Hypex amplifiers speak for itself. The DLCP is a complete platform for DSP implementation in your system. Highly adaptable for every situation, it is powerful, beautiful, and easy to use. The Hypex HFD software makes the package complete. Hypex stands for quality. 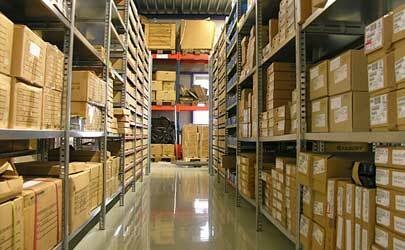 We like to do things ourselves, so we have our own production facility and we do all our own distribution. This way of thinking ensures the best possible way to deal with all our clients demands and wishes, from ordering to delivery. 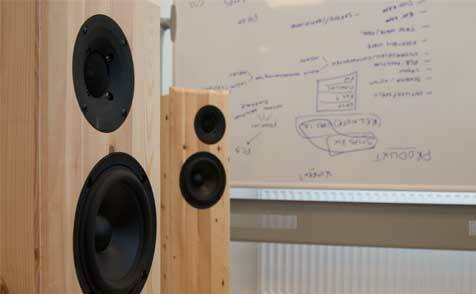 Need help building your amplifier? No problem, we support all kinds of builds. When you need help, if something is broken or you want to return a module to Hypex for repairs we’ll help you out. We do have a great FAQ page, but a personal touch is sometimes needed. Here you’ll find our FAQ. This contains all kinds of relevant questions regarding our products. Building schematics, wiring diagrams, shortcuts to data sheets, manuals and all white papers are easy to find on the FAQ page.